Hotel Calvi was already private residence in 1800 and became a guest-house in 1912, the same year when Mr Pajer Saule, great-grandfather of the current owner, bought it. The hotel was run by Saule and his daughters until 23 August 1944, the same day when, after being considerated as partisan refuge by the red army, the hotel was set on fire. 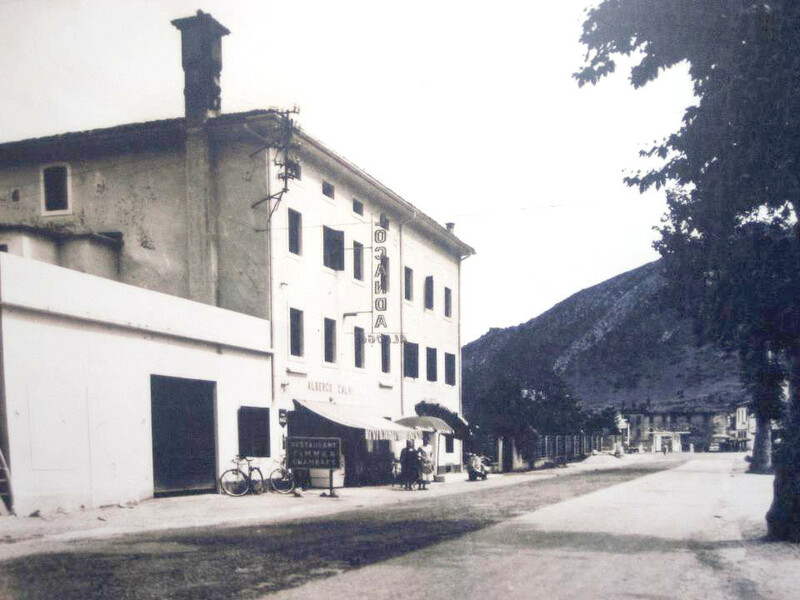 Hotel Calvi was closed during the remaining dramatic period of the World War II, which saw the nearest hotel’s area at the center of many warlike episodes. After the end of World War II, the building, which was really damaged by fire, was rebuilt and reopened to the public. Then there where other administration, such as that one called “nonno Alfredo” which from 1954 to 1968 extended the guest-houseuntil it had the nowaday dimensions, so that Calvi Hotel was one of the most important place for travelers and German tourists who goes to the Adriatic coast. In 1997, the anciant Hotel Calvi was given to the homonymous grandson, Alfredo, who, after a completed renovation, reopens the Hotel Calvi the 1 July 1999 with his wife Flora with which still runs it.